Bright gold star figure with custom Raingutter Regatta disc insert featuring YOUR pack number. Approximately 7.5" tall. Black marble base. 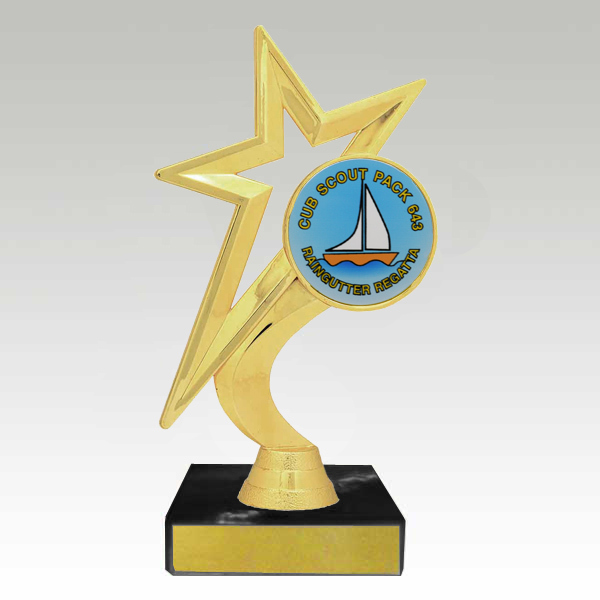 35 characters of lettering included per trophy. $0.10 more per character after first 35. Additional lettering may be charged separately after checkout. Disc artwork modifications beyond text changes may incur additional setup charges.